One of the area’s biggest farmers has threatened to move his £101 million a year business to China lock, stock and strawberry unless Theresa May allows him to take on migrant workers post-Brexit. Angus Davison, whose farm is based in Ledbury, says he has already moved 200 jobs more than 5,000 miles to China because he fears not getting enough migrant workers to pick his soft fruit in this country. And he says the rest could follow by 2020 unless Theresa May allows him to keep on using seasonal migrant labour after the UK leaves Europe. But comments by a member of his staff about British people not being willing to do the hard graft have been met with anger by some on social media who claim people who live near his farms in Newent and Ledbury cannot afford to take the seasonal picking jobs. Mr Davison, who brought polytunnels to the UK and was made an MBE in 2002 for his services to agriculture, has written to Theresa May to say he cannot afford to let his fruit rot while the UK works out what it plans to do after it leaves the EU. 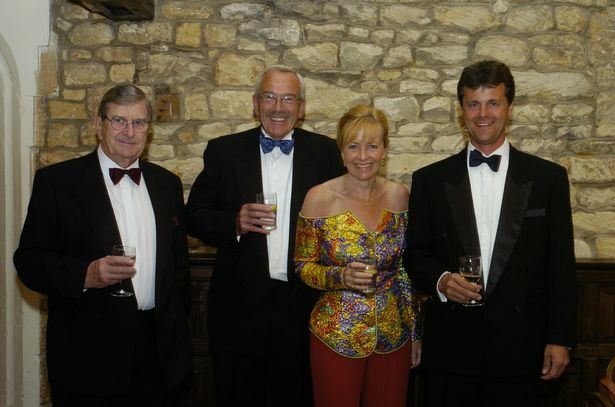 The man credited with rejuvenating the UK’s soft fruit business told the Guardian if he cannot get the migrant workers, he will have to move more of his business overseas, or close down altogether. According to the website, Haygrove has 408 permanent employees and a further 1,000 seasonal workers. “We are reducing our employment this year by 200 people, 20 per cent of our workforce, in anticipation of problems we can’t afford and we are investing in China instead,” he told The Guardian. “I would feel very, very sad for the people here, after 30 years of building together,” he added. 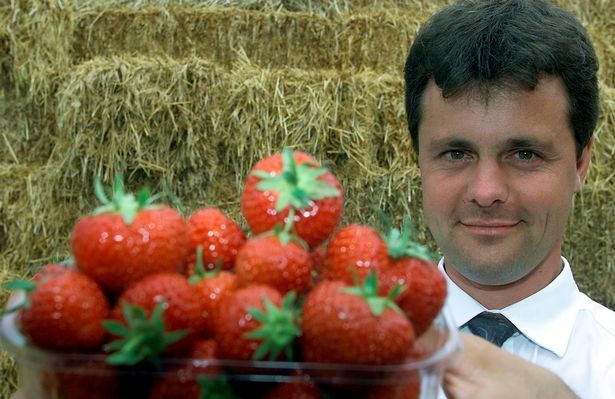 His official spokesman insists any move would be to meet a growing demand for berries in China and there was no plans to grow strawberries so they could be exported over 5,000 miles to the UK. However Mr Davison has written to the Prime Minister saying he cannot afford to wait for her to unveil the immigration plans after Britain leaves the EU because harvests have to be planned in advance and he is working to super tight profit margins. “We are already out of time,” he warned. “Unless a seasonal workers' scheme is put in place, you must expect to see the steep decline of this significant rural employer and source of food. “It is appreciated that treating one industry differently to another is difficult; however agriculture, unlike construction and hospitality, can be exported. 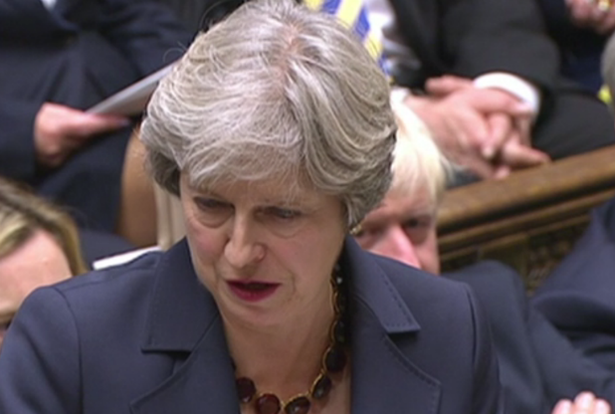 The prime minster has not replied to his letter which says ending freedom of movement from March next year as planned would have “disastrous consequences” for farmers dependent on seasonal EU workers. As one of the nation's top growers he adds an influential voice to farmers nationwide who want the government to reintroduce a seasonal agriculture workers' scheme so they can carry on recruiting pickers from Eastern Europe. Agriculture minister, George Eustice, and the recently moved Home Office minister Brandon Lewis told Mr Davison’s local MP he would have to wait until after the Migration Advisory Committee report on all sectors of the economy is published. "We had some graduates once; they didn’t last a day"
But Davison said the margins were so tight he could not afford to “wait and see” on immigration policy. Haygrove’s Romanian farm manager Catalin Constandis, 35, says he hasn’t employed a British worker for two years because they found picking fruit too physically demanding. “In my team in the past two years, no English people have worked here. "We had some graduates once; they didn’t last a day,” said Constandis, who has just become a British citizen. But the comments have sparked an angry reaction on social media with some saying the company would be able to recruit if it paid a living wage. But Davison believes it’s time for the British Government to “learn from the Chinese” because the Yunnan governor instilled confidence and positivity in his business. “I think that it is sad that our prime minister does not seem to understand fundamental food business realities,” he said. Mr Davison’s official spokesman said he had nothing to add to the Guardian interview but the story has fuelled a debate about whether or not British workers are too lazy to take tough jobs. The company website says it recruits from Romania, Bulgaria and the HQ in Ledbury but tells potential staff that there will be no change to the rules for members of EU countries “up to the point that the UK leaves Europe, and this is likely to be extended further”. 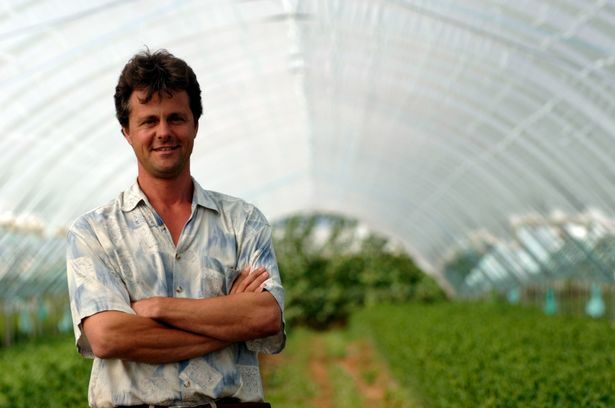 Davison founded Haygrove in 1998 after growing strawberries in polytunnels for a university research project and realising he was on to a winner. 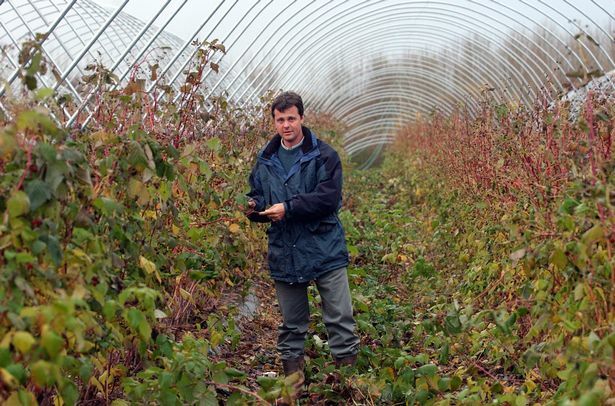 Today he grows 4,000 tonnes of raspberries, cherries, blackberries and blueberries under polythene tunnels to supply the leading UK, African and European retailers and has farms in South Africa and Portugal but describes Haygrove home farm as the “epicentre” of the business. But over the last 10 years the much copied business model has upset campaigners who say the large polytunnels and caravan sites needed to house migrant workers are a blight on the countryside. Now it could be moving to Yunnan province in southwestern China, which is famous for its varied landscape encompassing snow-capped mountains, rice terraces, lakes and deep gorges and having the largest number of ethnic minorities amongst its 45 million population.